BEIJING, Oct. 11 (Yonhap) -- A senior Chinese diplomat on Thursday attended a reception at the South Korean ambassador's residence in Beijing in the latest sign of improved relations between the two neighbors. Bilateral ties had been icy over the deployment of a U.S. anti-missile system in South Korea. China -- South Korea's largest trading partner -- banned the sale of group tour packages to South Korea in March 2017, though it has since partially lifted the ban. China claims the U.S. missile defense system could hurt its security interests. Seoul and Washington have dismissed such concerns, saying the U.S. missile shield is defensive in nature and focuses on North Korea's missile activities. On Thursday, Chinese Vice Foreign Minister Kong Xuanyou attended a function at the South Korean ambassador's residence in Beijing meant to celebrate a South Korean national holiday and the Armed Forces Day. 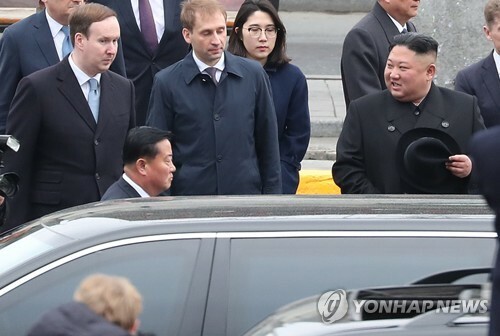 Kong's attendance came just hours after he returned from Moscow where he met with his North Korean and Russian counterparts. In November last year, Seoul and Beijing agreed to put their bilateral ties back on track. In a summit a month later, South Korean President Moon Jae-in and his Chinese counterpart, Xi Jinping, agreed to make efforts to improve the two countries' relationship.